The SMSF Association National Conference 2019 boasts an impressive line-up of over 60 expert speakers and thought leaders from the SMSF and financial services industries. Across the two and a half days our speakers will present the latest technical updates on the most relevant SMSF and business topics through concurrent sessions, workshops and panel discussions. You have the opportunity to hear from the best in the business and enhance your technical knowledge whilst earning valuable CPD points. Belinda is a director of Super Sphere Pty. Ltd., a specialist self managed superannuation company, where she is responsible for providing audit, consulting and training services in relation to self managed super funds. Belinda established Super Sphere in 2003 to specialise in SMSF auditing and audit related services. This is in addition to providing an SMSF Audit Toolkit to other auditing professionals and undertaking numerous training engagements each year. Belinda is a member of the CAANZ, and holds a Bachelor of Business (Accounting). Belinda is also a specialist member of the SMSF Association, co-chairperson of their audit discussion group, and a member of the SMSF Association education and conference committees. Nicholas Ali is the Executive Manager – SMSF Technical Support, at SuperConcepts, Australia’s leading innovator in SMSF services. He has over 10 years’ experience as an SMSF technical specialist, taking a pragmatic approach to enhancing SMSF Client Value Propositions. In his current role he provides technical support to SMSF intermediaries and trustees on a range of matters, as well as being involved in adviser and trustee training and education through seminars, masterclasses and workshops. Nicholas has extensive knowledge and experience having worked as a Financial Planner for 14 years, with emphasis on strategic advice to trustees and members of SMSFs. He been an SMSF Association Specialist Adviser for more than a decade. Nicholas has a Bachelor of Arts, Bachelor of Commerce, Advanced Diploma of Financial Planning and is currently studying a Masters in Taxation. His interests include competitive target pistol shooting, Rugby Union, Boxing and Motorsport. He is also an exceptional cook! Bryan Ashenden is the Head of Financial Literacy & Advocacy at BT Financial Group, leading a team of professionals committed to supporting the adviser community with technical, regulatory, and policy support. 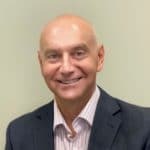 Bryan has many years experience in leading and delivery comprehensive technical solutions to advisers and their clients, the last 17 spent with BT Financial Group. With qualifications in Law, Commerce and Financial Planning, and being a SMSF Association Specialist Advisor, Bryan is a frequent presenter and facilitator at many industry events and regularly contributes to trade and consumer publications. Shelley is the Executive General Manager, Technical Services at ASF Audits. She is an SMSF audit specialist with extensive experience in superannuation, audit, finance and IT. Shelley was previously a director at Super Auditors from January 2007 until the merger with ASF Audits in July 2017. She has successfully implemented IT projects for SMEs and has worked for large private sector corporations, such as Citibank and Perpetual Funds Management. Shelley works with a team of SMSF professionals and provides technical and strategic advice to clients on SMSF compliance. She also writes articles for superannuation publications and is a regular presenter at peak industry SMSF conferences. Louise is a co-founder and Director of Aged Care Steps, the leading business supporting professionals to give advice on aged care and other related matters. Louise is one of pre-eminent experts in aged care, with over 20 years’ experience in aged care advice. Louise is often quoted in media, is a regular speaker at conferences and has been a director on two industry body boards and is a member of the Aged Care Financing Authority which is a government statutory committee providing advice to the Minister on the funding and viability of aged care sector. Her experience is matched with strong educational qualifications with professional designations of a SMSF Specialist AdviserTM, a Certified Financial Planner™, a Chartered Tax Adviser and a registered tax (financial) adviser. For nearly 30 years Peter has earned respect for his fine planning and strategy skills in the areas of superannuation, taxation, estate and business succession planning, commercial structuring, regulatory compliance, and general commercial issues. Whatever Peter undertakes, his focus is foremost on the outcome, not the process. As a former university lecturer, frequent commentator on the law and former accountant, Peter can’t help but bring a practical and insightful approach to law. For this reason he counts as clients the financial services arms of every major financial institution in Australia, public companies, and associations. Through his wide network, Peter is also active in lobbying government to support a good cause or achieve better outcomes in the law. He’s successfully had laws amended and was the only individual (non-association) representative invited to the Federal Treasury initiative on the Ralph Report to tax trusts as companies. 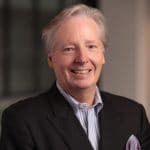 Peter takes his role as charity trustee of the Future2 Foundation very seriously and is an active member of numerous professional associations in the financial services, superannuation, and planning industries. He’s also a keen cyclist and has taken part in the Future2 Wheel Classic, riding each year for the past years from 2010 to 2016. Phil is a principal of Sladen Legal and heads its superannuation team. He is member of a number of superannuation related committees. This includes being the co-chair of The Tax Institute’s superannuation committee and the chair of SISFA’s technical committee. He is also a member of number of the ATO’s superannuation liaison groups including the Superannuation Industry Relationship Network (SIRN) and the Superannuation Industry Stewardship Group (SISG). Phil is also heavily involved in liaising with Treasury and ATO in relation to the implementation of new super laws and administrative practices. 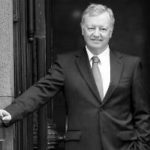 Phil’s areas of practice include superannuation, estate planning and succession, duties and state taxes, trusts, federal tax and business structuring. He is regular author and presenter. 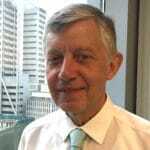 His articles have featured in The Tax Institute’s Taxation in Australia Journal and CCH’s Super News. He has presented at seminars and conferences conducted by The Tax Institute, the Television Education Network, Legalwise and various accounting bodies. Robin Bowerman is Head of Corporate Affairs and Market Development at Vanguard and a member of Vanguard’s Executive team. He is responsible for Vanguard’s marketing & corporate communications and plays a pivotal role in Vanguard’s market and product strategy development. Robin is a key spokesperson and presenter for Vanguard, with expertise in investor education, funds management, product development, industry and regulatory related topics. Robin has overseen the considerable growth of Vanguard’s retail business and the products and services offered to both direct investors and financial advisers since joining Vanguard in 2003. Prior to joining Vanguard, Robin had a distinguished career in the media and was a leading financial services writer, commentator and editor for over 15 years. He continues to be editor of Vanguard’s core client publications including writing a weekly column with more than 50,000 readers. In 2002, Robin co-authored the book Wealth of Experience, with Jeremy Duffield, Vanguard Australia’s ex-Chairman and founder. Peter Burgess is General Manager, Technical Services and Education at SuperConcepts. Peter is SuperConcept’s specialist on government policy, regulation and technical issues, and acts as SuperConcepts’ SMSF media spokesperson. Peter has a strong reputation as an authority in SMSF technical matters and Government policy design. He is an adjunct lecturer with the University of Adelaide and is a widely published author and media commentator on SMSFs. Peter holds an MBA from the University of Adelaide and an Economics degree and postgraduate qualifications in finance and superannuation management. In 2016, in recognition of his outstanding contribution to the SMSF sector, Peter was awarded the SMSF Association’s Chairman’s Award. Graeme Colley is the Executive Manager, SMSF Technical and Private Wealth at SuperConcepts. In that role his responsibilities include the provision of technical and education services to private wealth clients, maintaining the company’s media and corporate profile and its advocacy with government. 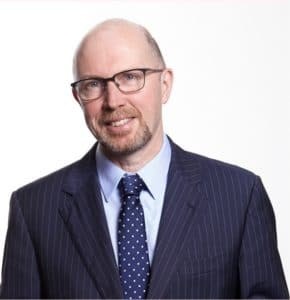 Graeme has considerable taxation and superannuation experience gained from senior positions in the ATO, as an Assistant Commissioner of the Insurance and Superannuation Commission, ING as well as leading fund managers and consultants, including Macquarie Bank, Mercer and Chartered Accountants ANZ. He is a joint author of the CCH Master Financial Planning Guide and Financial Planning in Australia. His academic experience extends to the ATAX Masters course at UNSW and the Master of Commerce (Financial Planning) course at UWS. 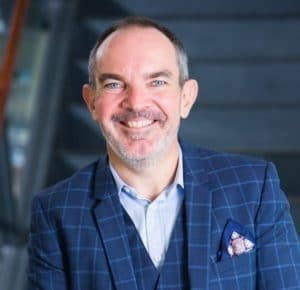 As the Chief Executive of BT Financial Group (BTFG), Brad Cooper brings his passion for customers and his experience of more than 20 years in business leadership roles to the organisation. 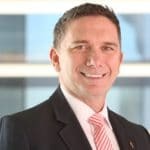 Prior to joining BTFG, Brad led the merger implementation planning and integration between St.George and Westpac as the Westpac Group’s Chief Transformation Officer. Brad joined The Westpac Group in April 2007 as the Chief Executive of Westpac New Zealand Limited. Prior to joining Westpac, Brad was Chairman of GE Capital Bank and Chief Executive Officer of GE Consumer Finance UK & Ireland. He drove GE’s UK Six Sigma program and was certified as a Quality Leader (Black Belt) in December 2002. He was promoted to Chief Executive Officer of GE Consumer Finance UK in January 2003 and appointed Chairman of GE Capital Bank in April 2004. Jeremy Cooper is Chairman, Retirement Income at Challenger Limited, a full time executive role focusing on research, public policy issues and thought leadership. Prior to joining Challenger, Jeremy chaired the ‘Cooper Review’ into the superannuation system, the recommendations of which have been substantially adopted. 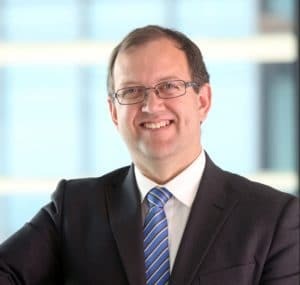 Before his review role, Jeremy was deputy chairman of the Australian Securities and Investments Commission (ASIC) for five years from mid-2004. Prior to his term at ASIC, Jeremy was a partner of an Australian law firm, now part of Ashurst. Jeremy is a regular public speaker and media commentator on superannuation and retirement income-related issues. 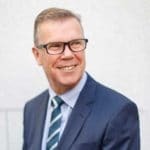 In addition Tim is Chair of the Community Council of Australia, and is a member of the following: the Multi-Stakeholder Steering Committee of the EU-Australia Leadership Forum; Australian National Development Index; Concern Australia Advisory Group and the Campaign for Australian Aid. Yvonne is Head of Technical Services with Australian Unity. Prior to this, Yvonne spent over 11 years in the technical team at Colonial First State, FirstTech as a senior technical manager. In her role Yvonne works closely with advisers by providing technical expertise and industry insights on legislative and regulatory related issues. She’s also a regular presenter at professional development days and conferences. Yvonne has over 13 years’ experience in the financial services industry and has previously worked for Colonial First State, Financial Wisdom and RetireInvest prior to joining Australian Unity in 2018. Yvonne holds a Masters of Taxation from Sydney University, an Advanced Diploma of Financial Services (Financial Planning) and degrees in both Actuarial Studies and Applied Finance. Craig is the Executive Manager, Technical Services with Colonial First State’s technical services team, FirstTech, and has over 15 years’ experience in the financial services industry. 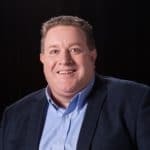 As part of the FirstTech team, Craig is responsible for providing specialist technical support to Colonial First State’s business and to analyse and communicate technical issues and strategy to financial advisers and their clients. Craig is also a regular speaker at industry and corporate functions, provides media commentary in relation to Australian superannuation and retirement planning issues and is actively involved in providing ongoing professional education and training. Craig holds a Bachelor of Science and he is an SMSF Specialist Advisor™ with the SMSF Association. 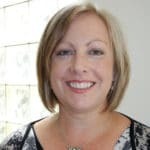 Karen is a certified practicing accountant, an SMSF Specialist Adviser (SSA), has completed the certificate in Self Managed Superannuation through the University of Adelaide and has completed the RG146 qualification. Karen has over 20 years experience in the accounting industry enjoying the past 10 years specialising in self managed superannuation. Karen has in-depth experience in dealing with a spectrum of clients and advisory firms in relation to their specific superannuation administration and compliance requirements. 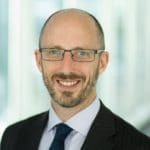 As Head of Australian Fixed Income & Multi-Asset, Simon is responsible for Schroders’ Australian Fixed Income and Multi-Asset investment capability. In this capacity he has direct portfolio management responsibility for the Schroder Real Return Strategy, the Schroder Balanced Strategy as well as the Schroder Fixed Income Core-Plus Strategy. Simon joined Schroders in May 2003 as Head of Strategy. Before joining Schroders, Simon spent 15 years at AMP Henderson where he worked in a number of economic and strategy related roles within the Multi-Asset team. Simon holds a Masters in Applied Finance from Macquarie University and a Bachelors degree in Economics from the University of Sydney. 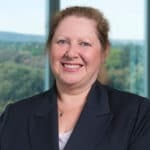 Melanie Dunn is Head of Technical Services at Accurium. 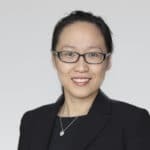 She is a Fellow of the Institute of Actuaries of Australia specialising in Global Retirement Income Systems with over ten years’ experience at Accurium in the superannuation team. Melanie has an extensive knowledge of Australia’s retirement system and SMSFs, and has a passion for educating retirees and professionals about the complexities and risks faced in retirement. Melanie is a regular presenter at a number of industry leading events and also provides training and technical articles for Accurium clients and staff. Melanie specialises in complex issues such as retirement modelling, exempt current pension income, complying pensions and segregation strategies. Within the financial services industry, people look to Aaron to learn more about self-managed super and the growth of the sector. Highly admired amongst his peers, Aaron’s insights into technical issues and the SMSF industry sees him regularly sort out to participate in Government reviews, including the Super System Review and more recently the ‘Reinventing the ATO’ program. Aaron is the CEO and Co-founder of Smarter SMSF (formerly known as The SMSF Academy), a business that inspires best practice in training, documents and support for accountants and financial planners. He is the author of the Future of SMSF report, which provides insights into the way in which practitioner operate within the SMSF industry. As a CPA and SMSF Specialist Advisor, Aaron has worked within the SMSF sector for more than 20 years. A lover of sport, in particular AFL football (Essendon) and athletics, Aaron was previously a nationally ranked high jumper having set a personal best jump of 2.14m. Mark holds the position of Executive Manager, SMSF Technical Services with SuperConcepts, providing technical and compliance support on SMSFs to financial advisors, accountants and SMSF trustees, as well ensuring that SuperConcepts’ leading SMSF administration and compliance platform, SuperMate, is compliant with the latest superannuation and taxation rules. An accredited SMSF Specialist Advisor with the Self Managed Super Fund Association, he is also a Fellow of CPA Australia and the Institute of Public Accountants (IPA), as well as being a Registered Tax Agent. Prior to his current role with SuperConcepts, Mark spent considerable time in accounting practices and SMSF administration companies, including running his own accountancy practice and SMSF administration and compliance advice company for ten years. Bryce is recognised as one of Australia’s leading SMSF lawyers. He has worked predominantly in the fields of tax and superannuation over the past 17 years and holds a Master of Laws from the University of Melbourne. Bryce is a regular seminar presenter on tax and SMSF topics and has published extensively in these areas. Bryce regularly presents for the major professional bodies including the SMSF Association, CPA Australia The Tax Institute, Chartered Accountants Australia and New Zealand and DBA Network. Bryce is regularly quoted and published in the Australian Financial Review, the Herald Sun, CCH and LexisNexis publications, and elsewhere in the financial press. Bryce wrote the book Complete Guide to SMSFs: Planning for Loss of Capacity and Death, published by CCH Wolters Kluwer. Bryce is on the editorial panel of LexisNexis’ Australian Superannuation Law Bulletin. He is a Senior Fellow at the University of Melbourne’s Law School, where he is the subject coordinator of Taxation of Superannuation. Bryce is a Specialist SMSF Advisor™ as well as being a Chartered Tax Adviser. 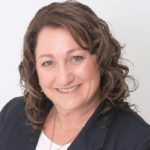 Dana has over 25 years tax experience, specialising in superannuation and managed investments both in Australia and overseas at both KPMG and PwC. For the last 4 years Dana has led KPMG’s Asset & Wealth Management Practice in Australia. Her client portfolio included major industry funds and both major retail and managed funds. She advised and worked with them on the tax implications of their strategic planning as well as day to day activities, assisting with tax compliance, dealing with the impact of changing legislation on their systems and products, strategic product development, mergers and unit pricing. Most recently, Dana has joined the ATO as an Assistant Commissioner, leading the SMSF segment where she hopes to make a positive contribution to the public sector and importantly to the community. Peter has more than 35 years’ experience in the accounting profession and has earned a solid reputation for his specialist business services and management advice and development of wealth creation strategies, particularly relating to self managed super funds including structuring and their administration, which then coordinates with financial planning, risk management and estate planning and has been involved in litigation support and family law matters. Peter also holds a CFP® (Certified Financial Planner®) designation and has been actively involved in the financial planning aspects of client affairs for over 20 years. Peter was awarded the Lonsdale Financial Group Financial Planner of the Year 2015/2016. 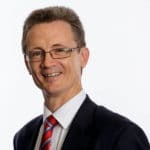 Peter is a Member of the Institute of Chartered Accountants and the Institute of Chartered Secretaries and was instrumental in establishing what is now known as the SMSF Association of Australia Ltd ( SMSFA ), was inaugural chairman and Board member for 8 years. Dennis is an author, advisor and contributor to discussions on the topics of ethics, governance, conduct and organisational culture. He has had over 15 years experience in the banking and finance industry and currently works in Deloitte’s Governance, Regulation and Conduct practice. Dennis is the author of The Origins of Ethical Failures and contributes to numerous blogs, newspapers and journals both in Australia and overseas. He is an adjunct fellow at Macquarie University, and honorary fellow at the Centre for Ethical Leadership and holds degrees in banking and finance and psychology. Jordan George is Head of Policy at SMSF Association. Jordan is a key member SMSF Association’s technical team. He is responsible for managing SMSF Association’s submissions to government and regulators on new policy and legislative measures, and is a main contributor to SMSF Association’s advocacy and technical work. 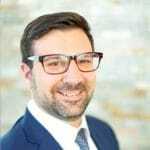 Prior to joining SMSF Association, Jordan spent four years in Canberra at the Australian Treasury where he worked on business tax policy issues, primarily on capital gains tax and also small business and tax administration issues. As such, Jordan brings to SMSF Association first-hand experience in developing tax policy and legislation, and advising government and Ministers on budget, policy, and regulatory issues. Jordan has a Masters of Taxation at the University of New South Wales, an Honours degree in Economics and a Law degree from Adelaide University, along with a Graduate Diploma in Legal Practice from the Australian National University. Heather is a partner at law firm Hall & Wilcox, where she heads the superannuation practice. She is one of Australia’s most experienced superannuation and financial services lawyers, having practised in the area for more than 30 years, and has been recognised as one of Australia’s leading superannuation lawyers in the annual ‘Best Lawyers’ reports published by the Australian Financial Review from 2010 to 2018 inclusive. She was named as the ‘Best Lawyers’ Melbourne Superannuation Lawyer of the Year for 2014 and 2018. She acts for superannuation fund trustees, financial institutions, employers, associations and other entities involved in superannuation, across the full range of legal issues facing the industry, and has a special interest in self managed superannuation. 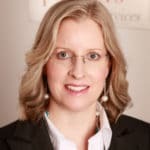 Heather has been involved in the development and implementation of superannuation policy through her roles as a member (and former Chair) of the Superannuation Committee of the Law Council of Australia and as a member of regulatory consultative committees and of the Board of Taxation Advisory Panel. A frequent speaker at superannuation conferences, she is a Chartered Tax Adviser, and holds Honours degrees in Law and in Arts from the University of Melbourne. Caroline is the Practice Manager of the Commonwealth Private Office at CBA, providing strategic and technical advice to Ultra High Net Worth individuals and families (with investable assets of $10 million or more). With experience including SMSFs and other trusts, superannuation, estate and family law litigation, family governance and succession planning; Caroline’s diverse background has yielded many practical lessons for clients and their professional advisers. Having worked at one of Australia’s largest professional trustee companies that manages funds and advises people with disabilities Caroline also has firsthand experience of clients in this space. Caroline holds a Bachelor of Arts, a Bachelor’s and Master’s degree of Law, the Graduate Diploma in Legal Practice, and was admitted to legal practice in 2008. She is an SMSF Specialist Advisor and a member of the Regulatory Committee with the SMSF Association. Caroline was recognised as a trusts and estate specialist by the London membership committee of STEP (the international Society of Trust and Estate Practitioners) in 2018. Dr. Richard “Harry” Harris works in anaesthesia and aeromedical retrieval medicine in Adelaide, South Australia. He has expertise in diving, wilderness and remote area health. His passion for cave diving goes back to the 1980’s and has taken him to the corners of the globe in search of new adventures. Harry and his colleagues have explored the Pearse Resurgence in New Zealand to 229m depth, Daxing Spring in China to 213m and Song Hong Cave in Thailand to 196m to name a few. Harry has a professional and voluntary interest in search and rescue operations, establishing the first sump rescue training course in Australasia. By building relationships with emergency services locally he has been preparing for such an event. The 2018 Thailand Cave Rescue was an opportunity to put this training to work. Scott is a partner in Brisbane law firm Cooper Grace Ward. He and his team specialise in assisting clients and their other advisers including financial planners with tax and superannuation advice; estate planning, administration and disputes; business structuring; business succession arrangements; asset protection and restructuring. Scott has a particular interest in how these areas intersect with self-managed superannuation funds and the impact of and on these structures. 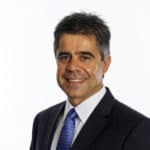 He is a SMSF Specialist Advisor™, a Chartered Tax Adviser, a member of the Society of Trust and Estate practitioners, and a Specialist Accredited Adviser with Family Business Australia. Scott been selected by his peers for inclusion in the Eleventh Edition of Best Lawyers in Australia in the practice areas of: Superannuation Law, Trusts and Estates and Wealth Management / Succession Planning Practice. He was named the 2016 Brisbane Wealth Management/Succession Planning practice ‘Lawyer of the Year’ and the 2019 Superannuation ‘Lawyer of the Year’. Estate Planning lawyers as a leading practitioner. He has a Bachelor of Laws (Hons) and a Bachelor of Business (Accy) from the Queensland University of Technology. 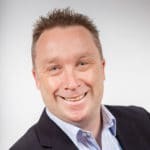 Scott also has also completed the Certificate of Superannuation Management and the Diploma of Superannuation Management run through ASFA and Macquarie University, and the Foundation Diploma of Financial Planning. Melinda Howes is the General Manager of Superannuation for BT Financial Group. In this role she is privileged to be responsible for helping more than 1 million Australians live their best retirement. Melinda is an actuary who has had a diverse career in financial services. Previous roles include Non-Executive Director roles in General Insurance, Director of Product Strategy and Services for AMP, CEO of the Actuaries Institute, Director of Policy at ASFA, and actuarial roles in life insurance and superannuation. She previously spent eleven years at BT from 1993. Melinda is an Executive Director on BT’s Superannuation Board, and a member of BT’s Risk Review Committee. 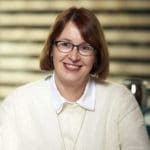 She’s also on the FSC’s Super Board and the Association of Superannuation Funds Australia (ASFA) Board as well as the advisory board of Macquarie University’s Faculty of Business and Economics. 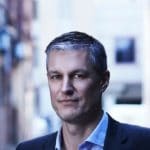 Andrew Inwood is the founder and principal of CoreData and has more than 30 years’ experience in the Australian financial services industry. He started his career at Rothschild Australia Asset Management where he headed the marketing team for before moving to AMP Investments where he spent more than a decade. During his time at AMP he was seconded to Virgin Direct in the UK to help establish the finance and investment arm of the group. Andrew returned to Australia to be Marketing Director of Wizard Home Loans. From Wizard he moved to Telstra where he spent three years as General Manager of Applications and hosted services before leaving to start up CoreData. Andrew is the author of more than 50 pieces of significant research into clients and their behaviour and has a particular focus on the value of the client experience in financial services. He is a highly regarded speaker and has delivered key note speeches in every Australian capital city, London, Edinburgh, New York, Tokyo, Queenstown, Monaco and Berlin. 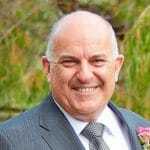 Andrew has served on a number of Charity and Sporting Club Boards and been a seed investor in and director of a number of start-up businesses, particularly in the online sector, a practice which he continues to this day. He has a Bachelor of Economics from the University of Sydney A.S.I.A. In the past 10 years, CoreData has expanded out of Sydney to have offices in London, Boston, Manila, Sao Paulo and Capetown. As a partner in Cooper Grace Ward’s commercial team, Clinton advises his clients on an extensive range of commercial and corporate matters, business mergers, acquisitions and sales, tax and structuring issues, self-managed superannuation, asset protection and succession, restructuring and exit strategies. Clinton’s unique range of expertise enables him to assist his clients with both their personal and business legal issues and to advise through all phases of the business/investment lifecycle – from start up, growth, expansion, transition and exit. Clinton is an accredited specialist superannuation adviser with the SMSF Association and member of the Society of Trust and Estate Practitioners. 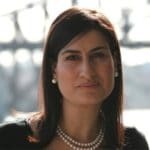 Christina Kalantzis is the founding Director of Alexis Compliance and Risk Solutions, a financial services compliance and risk management firm based in Sydney. She has over 20 years experience in the financial services wealth management and distribution industry and extensive risk management and compliance experience. She provides advice to ASX listed companies on Financial Services Reform (FSR) and the Future of Financial Advice Reforms (FOFA) compliance, investment and risk management issues. She was a member of the FOFA Treasury working committee convened by the Rudd and Gillard government throughout 2007 – 2012. She recently managed one of Australia’s largest Financial Planning Enforceable Undertakings. She managed the first FSR Adviser banning 2005, represented Advisers in Westpoint/ ASIC banning hearings, was an industry expert to ASIC and the ACA as part of the Quality of Advice Survey 2002, and the FPA’s head project manager for FSR, privacy and fee disclosure. She has also managed AFSL product and unit pricing breaches. Christina is a published author and speaker on compliance, corporate governance and risk management planning, her work has been published by Asset, BRW, Money Management, IFA, Sydney Morning Herald, The Australian and the Australian Financial Review. Christina holds a Master of Laws and Legal Practice, a Masters Degree in Banking and Finance, a Bachelor of Commerce, and a Foundation Diploma in Financial Planning. James Kingston, Director, is Head of BlackRock’s APAC Portfolio Analysis & Solutions team (BPAS). The team conducts customised, outcome-orientated client engagements around portfolio construction and risk management to assist with asset allocation, portfolio structure, and implementation decisions. This is executed across multiple asset classes and structures, and includes active and index products. Prior to his current role James was a senior member of the EMEA BPAS team, and before that was responsible for the iShares Portfolio Analysis & Solutions team in EMEA. Before joining BlackRock, James was at Credit Suisse where he was responsible for CS ETF Sales Strategy. 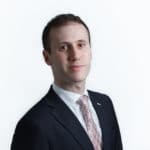 He has held positions at the Royal Bank of Scotland and ABN AMRO where he focused on ETF product development and strategy, and previously on Fund Derivative Structuring. James holds a B.Sc. (Hons) in Mathematics and Physics with Astrophysics from King’s College London and a M.Sc. in Astrophysics from University College London where he specialized in Theoretical Cosmology and Quantum Mechanics. James Kirby, The Australian’s Wealth Editor, is one of Australia’s most experienced financial journalists. 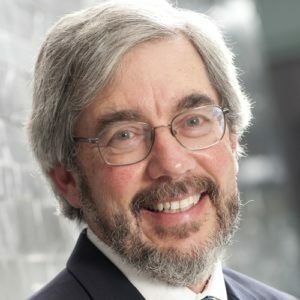 He is a former managing editor and co-founder of Business Spectator and Eureka Report and has previously worked at the Australian Financial Review and the South China Morning Post. 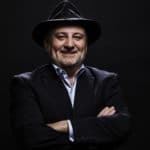 He is a regular commentator on radio and television, he is the author of several business biographies and has served on the Walkley Awards Advisory Board. David is a Senior Partner at Mercer and Senior Actuary for Australia. 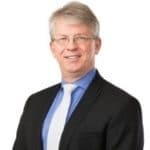 He is the National Leader for Research and the actuary to the Tasmanian and Western Australian public sector superannuation plans and was the industry expert of the three person team who conducted a review of Military Superannuation for the Australian Government. He is the author of the Melbourne Mercer Global Pension Index. 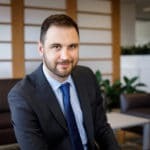 Before joining Mercer in 2005, David was at PricewaterhouseCoopers and prior to that was the Foundation Professor of Actuarial Studies at The University of Melbourne. In his two decades in academia, he acted as a consultant to a range of financial organisations, specialising in the superannuation and retirement incomes area. He has spoken and written widely in this area and has served on many Government and industry committees. David was an independent Board member of Australian Prudential Regulation Authority from 1998 to 2003 and President of the Actuaries Institute in 2000. 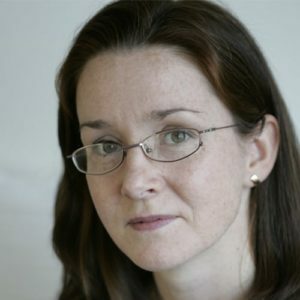 Olivia Long is a Management Veteran with over 20 years’ experience in management roles within the financial services sector. Former CEO & Director of an SMSF Administrator, Olivia has had over 14 years within the SMSF sector and now heads up strategy and operations for national financial services and advisory firm Prime Financial Group’s wealth management and super division. Prime Financial Group Ltd is an ASX Listed Integrated Accounting, Wealth Management and Capital advisory firm with joint venture relationships with over 30 accounting practices nationally. 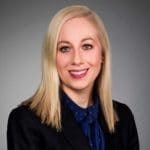 Olivia is responsible for the ongoing development and delivery of the firm’s products and services, as well as driving its marketing and public relations activity. Leigh is a Director, SMSF Technical & Education Services at Heffron SMSF Solutions, and she is intimately involved in developing the firm’s range of products and services for clients (including technical and educational materials) and the provision of technical support to SMSF practitioners and their clients. She regularly delivers presentations to SMSF practitioners around Australia and one of Leigh’s greatest attributes is her ability to make complex concepts appear simple through the use of real life scenarios. Participants in previous training events have valued this practical approach highly. She is a Chartered Accountant with over 25 years of superannuation experience and has specialised in SMSF technical support, advice and administration for almost 20 years. This gives her a unique ability to advise not only on the technical issues faced by SMSF practitioners but also the practical solutions she has developed and implemented. 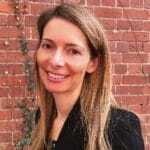 Kate is the Acting Senior Executive Leader of ASIC’s Financial Advisers stakeholder team. Kate is based in Melbourne and has been a part of the Financial Advisers team since its formation in 2008. Prior to this role, Kate was the Technical Adviser to the Deputy Chairman of ASIC and has also held roles in the corporate finance and policy teams. Kate has a considerable amount of experience in financial services regulation. Kate’s more recent focus has been on digital advice and SMSF advice. Previously, Kate worked as a solicitor in private legal practice in corporate finance. John Maroney was appointed as the CEO of the SMSF Association in May 2017. John has worked in the financial services industry for over 30 years and was recognised as a leader in Australia’s Financial Services sector before his appointment to the International Association of Insurance Supervisors in 2009. Most of John’s experience in Australia has been in the superannuation or insurance sectors and managing professional and industry associations. John’s experience includes extensive senior management and consulting roles in superannuation, insurance, Australian and international financial regulation, actuarial and risk management plus managing professional and industry associations. He has been employed by large and small employers and consultants, within the private and public sectors, within Australia and internationally and he also was self-employed for several years while he developed a successful consulting firm. Key roles include CEO of the Actuaries Institute, Australian Government Actuary and Head of Capital and Solvency at the International Association of Insurance Supervisors, which is hosted by the Bank for International Settlements in Basel, Switzerland. Doug is an experienced actuary and Accurium’s General Manager. He is passionate about using his actuarial skills in the retirement space to provide innovative solutions for SMSF practitioners and their clients. As Accurium’s senior actuary, Doug signs more actuarial certificates than any other actuary in Australia which provides him with great insight into the SMSF market. Previously, Doug has worked as an actuarial consultant at a big four accounting firm providing advice to some of the UK’s largest pension schemes. Doug is a Fellow of both the Institute of Actuaries of Australia and the Institute and Faculty of Actuaries (UK) and has an Honours degree from the University Bristol. He lives in Hobart and loves the Tasmanian lifestyle, but still thinks rugby is better than AFL. 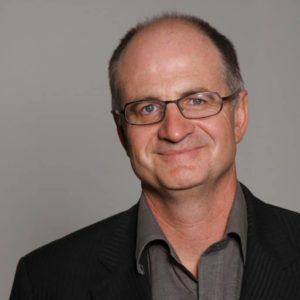 Tim Miller is an independent SMSF trainer, presenter and mentor with over 20 years’ hands on experience in the Superannuation industry providing compliance and administrative support to thousands of Trustees, Accountants and Financial Planners. Through his business, Miller Super Solutions, he provides interactive in-house training and consulting, accommodating all levels of knowledge. He is also an SMSF consultant to a number of industry education providers and has authored one of the subjects for the SMSF Association Graduate Certificate delivered via Kaplan and the University of Adelaide. His practical and personable approach to dealing with and explaining compliance obligations has resulted in Tim regularly presenting at all of the major SMSF conferences as well as contributing to SMSF trade and broader media publications. Tim is a Self Managed Superannuation Fund Association Specialist Adviser. Hi. I’m Chris and I’ve been a Private Client Adviser with independent financial planning firm, Hewison Private Wealth, since 1997. I am also an equity partner and a Director of the company. I have considerable experience and expertise in all facets of financial planning and strategy, investment markets, superannuation and financial management. I am a SMSF Specialist Adviser (SSA®), accredited by the SMSF Association. Aside from providing financial advice to clients, I am dedicated to continuing the professional development of our staff. And I have a great interest in working with Not for Profit organisations and service providers to deliver superior financial solutions. I have experience in the development of tailored investment policies for Not for Profit boards including objective performance measures and implementation. I strongly believe that we all exist as part of a wider community and am passionate about ways to assist our community in positive and innovative ways. James O’Loghlin is one of Australia’s most respected, entertaining and experienced corporate speakers, corporate comedians and media personalities, best known as the host of over 300 episodes of “The New inventors” on ABC-TV, and for his witty and entertaining programs on ABC Local Radio. He has been delighting corporate audiences with his unique brand of corporate comedy for over a decade and is equally at home giving keynote speeches on innovation, acting as MC for awards nights and conferences and facilitating panel discussions. From criminal lawyer, to comedian to media personality and presenter James has a wealth of experience. It was his role as the host of the New Inventors that fuelled James’ interest in innovation, a subject upon which he now regularly gives keynote speeches. He explores practical things we can all do every day to become more innovative, and about the ways in which companies can create a culture that encourages innovation. After many years of work in Australia he is a favourite with Australian audiences and event planners, James is a true industry professional with hundreds of successful live events to his credit. Deborah has held a number of leadership positions in Australian universities and is a researcher and recognized thought leader in financial services, with particular interests in financial regulation, superannuation, innovation and commercialization. She has published widely in these areas. She is a Professorial Fellow at Monash University. She has a Master of Economics and a PhD in Finance and is a Fellow of CPA and AICD. Michael specialises in providing strategic advice to financial institutions, fund managers, government agencies, industry associations and large superannuation funds. Michael is the Chief Executive Officer of Rice Warner, which he founded in December 1987. Michael heads up Rice Warner’s public policy work. He has undertaken pioneering research into Age Pension dependency and trends. He has a keen interest in the integration of social security and superannuation, as well as measuring the adequacy of retirement incomes. He was Chairman of QSuper’s Investment Committee from January 2009 to June 2013 and remained an independent investment expert on the committee until March 2016. He is a former Councillor of the Actuaries Institute and is convener of the Actuaries Institute’s Public Policy Committee and was awarded Actuary of the Year for 2017. Michael is also a member of the Advisory Board of the ANU College of Business and Economics. Michael was appointed to the StatePlus Board in October 2016. 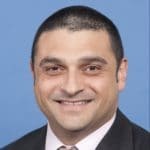 Bernie Ripoll is an Electrician by trade with a Business Degree in Marketing and has served as a Member of the Federal Parliament from 1998 to 2016. Bernie worked across most fields of government and served as part of the Government Executive in the role of Parliamentary Secretary to the Treasurer with responsibility for Financial Services, the Australian Securities and Investments Commission, the Australian Bureau of Statistics and other agencies within the treasury portfolio and also as Shadow Minister for Financial Services and Superannuation, Small Business and Sport. Bernie has represented the Commonwealth Government in an international capacity including as the alternate delegate to the Asian Development Bank and as leader on a number of official parliamentary and government delegations. Bernie chaired the Parliamentary Joint Committee on Corporations and Financial Services delivering the “Ripoll Report” that led to the (FoFA) Future of Financial Advice reforms. Bernie has devoted many years to community development and more than ten years as a director for the not-for-profit medical practice, Inala Primary Care, and is also a director with digital advice platform, Map My Plan, and Chairman of Biogas developer, Utilitas Group. 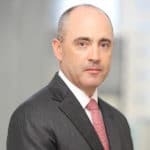 Bernie also sits on the advisory committee of the Self Managed Super Fund Association, is a director with the Financial and Energy Exchange Global and a NED board member of Allianz Australia. Bernie has a deep understanding of the systems, processes and people in government and parliament at all levels and brings a senior level of experience and knowledge with working relationships in the corporate and community sectors. Stuart Robert is a Federal Minister serving as the Assistant Treasurer in the Morrison Government. Stuart has served his nation in the Australian Parliament since 2007. Stuart was first sworn in as a Minister of the Crown upon the election of the Coalition Government in September 2013, serving first as Assistant Minister for Defence, then Minister for Veterans’ Affairs, Minister for Human Services and the Minister Assisting the Prime Minister for the Centenary of ANZAC. Stuart has also served as the Chair of the Joint Standing Committee on Treaties. 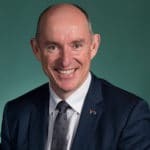 Prior to entering Parliament, Stuart owned a medium sized Information Technology company that was twice named as one of the fastest growing 100 companies in Australia. He also served in the Australian Army for 12 years as an Infantry and Intelligence Corps Officer and is a graduate of the Australian Defence Force Academy and a top 10 graduate of the Royal Military College Duntroon. Stuart saw operational service in 1998 on the PNG Island of Bougainville following the devastating civil war. Stuart was a founding director of Watoto Australia and a member of the Watoto International board. Based in Uganda, Watoto operates the world’s largest non-institutional orphan care program and is now exporting this program globally. Stuart holds an MBA, M Info Tech and a BA (Hons). Stuart is married and has three sons. He loves 4WDing with his children, paragliding, playing the piano and serving in his local church. Vihari Ross joined Magellan in 2007 and is Head of Research. She was most recently Head of Franchises and retains responsibility for research coverage of franchises stocks. Before joining the Franchises team in 2009, Vihari was a Senior Analyst on the Financials team. Prior to Magellan, Vihari spent four years as an equity analyst at Ausbil Dexia, covering the financials and consumer sectors, and worked as a quantitative analyst at Commonwealth Investment Management (now Colonial First State). Vihari holds a Bachelor of Commerce majoring in Actuarial Studies and Finance and a Master of Commerce majoring in Finance from the University of New South Wales. She is an Associate of the Institute of Actuaries. Vihari is a member of Magellan’s Investment Committee. Deen has more than 20 years of leadership experience in Financial Services and the regulatory environment for the industry, including as key policy maker and influencer in financial services and wealth management regulation. As past CEO/Commissioner of the national standards and professional regulatory system (Professional Standards Authority), he was responsible for oversight of law, audit, engineering and non medical professions in Australia. As inaugural CEO of the Adviser Standards and Ethics Authority he led the new ethics and practice framework for financial advice. With Deloitte he has led strategic campaigns, including ethical leadership, capability and compliance system reforms across multiple clients. He was awarded an Order of Australia Medal in 2017 for his leading academic and regulatory work in the field of professional standards. Jemma Sanderson is a Director of Cooper Partners Financial Services, heading up their SMSF specialist services. 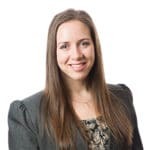 Jemma provides strategic advice on SMSFs, estate planning and wealth management to clients, as well as technical support to accounting, legal and financial planning groups. Jemma has a Bachelor of Commerce from UWA and is a Certified Financial Planner, a Specialist Member of the Self-Managed Superannuation Professionals Association of Australia (SMSFA), Chartered Tax Adviser and Trusts and Estate Practitioner. Jemma is a regular presenter on superannuation and SMSFs for the Taxation Institute, Institute of Chartered Accountants, CPA and SMSFA across Australia, and is the author of the popular publication “SMSF Guide”, published by the Taxation Institute, currently in its ninth edition and the author and convener of the Taxation Institute’s Graduate Diploma of Applied Tax Law Advanced Superannuation Unit. She was recently named as SMSF Adviser of the Year at the 2018 National Women in Finance awards for the second year running, and the 2018 SMSF Adviser of the Year at the WA SMSF and Accounting Awards. Shirley is an auditor by training and a SMSF expert by choice. She established a separate Superannuation division at BDO in 1996, recognising the need to provide high quality technical services to clients with self-managed superannuation funds. Shirley is a regular speaker at SMSF & Audit conferences. She provides SMSF competency training for accountants and auditors and is the co-author of the Thomson Reuters SMSF Audit Guide. Shirley is the 2017 winner of the SMSF Adviser Awards for Specialist SMSF Accountant and the Editors Choice Award. And has won SMSF Auditor of the Year for the Australian Accounting Awards in 2018 and Auditor of the Year for the Women in Finance Awards in 2018. She is an Accredited Specialist Adviser and Accredited Specialist Auditor of the SMSF Association (SMSFA); an authorised representative of Godfrey Pembroke, under a limited ASFL authority; a Fellow of the Association of Superannuation Funds Australia (ASFA); a Fellow of the Chartered Accountants Australia and New Zealand (CAANZ); a Registered SMSF Auditor; and a Registered Company Auditor. 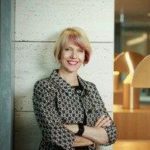 Eva Scheerlinck was appointed CEO of the Australian Institute of Superannuation Trustees (AIST) in 2017 and is responsible for leading the peak body of the $1.3 trillion profit-to-member superannuation industry. Eva joined AIST in 2010 and has been actively involved in reforming governance standards for superannuation funds in Australia and championing initiatives aimed at improving retirement outcomes for groups that often fall through the cracks in the super system including women, low income earners and Indigenous Australians. Eva has previous experience heading up professional associations, including six years as CEO of the Australian Lawyers Alliance, a role that saw her named by BOSS Magazine as one of seven top young executives of the year. 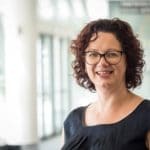 Eva holds a Bachelor of Laws and Bachelor of Arts from the Queensland University of Technology, as well as a Graduate Diploma of Community Management from the University of Technology, Sydney. She was admitted as a solicitor in 2000. 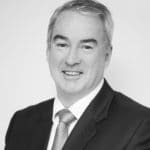 With 27 years’ experience in Financial Services, Liam has worked in Ireland, UK and the Middle East before moving to Australia in 2001. His experience and knowledge comes from working in banking, insurance, accounting and financial planning firms before starting his own business in 2006. Liam enjoys working with Self Managed Super Funds and Family Trusts but offers a holistic financial advice service covering superannuation, estate planning, investment and tax strategies with clients and their families. He wants people to make the most of their finances and thrive: to enjoy happier, more stress-free and financially secure lives. He writes his blog, The SMSF Coach, to help break down the strategies and jargon in to plain English for clients so they can take back control. Bhanu Singh is Head of Asia-Pacific Portfolio Management at Dimensional. In this role, Bhanu is responsible for all portfolios managed out of the Dimensional offices in Australia, Singapore, and Japan. 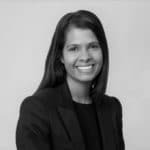 Additionally, Bhanu routinely speaks with both prospects and clients on topics ranging from Dimensional’s investment philosophy to custom solutions that the firm can provide to help clients achieve their goals. He works closely with research, sales, and marketing to help communicate Dimensional’s investment process to others. Bhanu holds a BA in business economics with honours from the University of California, Los Angeles, and an MBA in analytical finance with honours from the University of Chicago Booth School of Business. Rebecca is an experienced commercial lawyer with specialisations in superannuation, funds management and private wealth management. She also has tax and structuring advice experience within the superannuation context and supports various practice areas with high level advice. Darren Wynen is the founder of Insyt, a company that provides publications, training and consulting services for accountants and financial advisers. On the teaching side, Darren has been in the tax and accounting field for over 25 years and more specifically, in the training arena for the last 17 years. Darren originally worked for the NTAA for 10 years and also as a writer and trainer for TaxBanter Pty Ltd.
As a writer, Darren has written extensively about SMSFs through his own work, numerous training materials, and his decade-long involvement with the NTAA (including ‘Super Schools’).